DAR ICS can be made in different materials and dimensions. Retrofit solutions are possible. The ICS Assembly is home to the Inflow Control System, i.e. it is the outer load-carrying member of the ICS, designed to protect the internal fluid control modules during installation and operation. Washpipe-free installation is possible, and a self-orientation mechanism plus mechanical back-up ensures correct orientation. The system will always be designed such that mud and other well construction fluids are easily removed from the well during clean-up. Also, the ICS enables bullheading/pumping operations and is non-intrusive, allowing life-of-well intervention activities to take place. 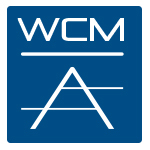 The WCM closes and re-opens automatically on-the-fly during production. The in-situ water fractions (WF) for closing and re-opening are completely insensitive to flow rate and can take any value from 5% to 95% with extreme accuracy. It is recommended that the re-opening WF is about 5 - 10% lower than the closing WF. 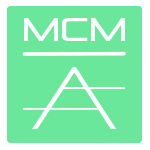 There is a limiting oil rate below which the WCM remains open for all fluids. The Client may specify this limiting oil rate as an alternative to specifying pressure drop versus oil rate for open WCM. These two alternatives are correlated: the larger the pressure drop for open WCM, the lower is the limiting oil rate. 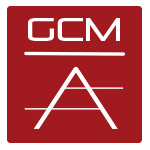 The GCM closes and re-opens automatically on-the-fly during production. The in-situ gas fractions (GF) for closing and re-opening are completely insensitive to flow rate and can take any value from 5% to 95% with extreme accuracy. It is recommended that the re-opening GF is about 5 - 10% lower than the closing GF. There is a limiting oil rate below which the GCM remains open for all fluids. The operator may specify this limiting oil rate as an alternative to specifying pressure drop versus oil rate for open GCM. These two alternatives are correlated: the larger the pressure drop for open GCM, the lower is the limiting oil rate. 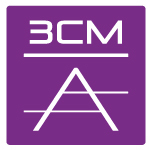 The additional information provided under WCM and GCM is also applicable to 3CM. 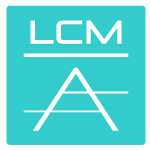 Like the other modules, the cleanup control module (CCM) is based on patented technology that makes use of flotation elements. 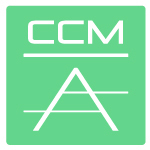 The CCM is optional, and if it is not included, the DAR system will by default ensure that during well clean-up, all fluids are allowed to flow directly into the basepipe, thereby bypassing the WCM, GCM or 3CM. This includes drilling mud, other well construction fluids and all reservoir fluids. If the CCM is included, mud will still flow unrestrictedly into the basepipe, but the CCM will automatically close once oil enters from the reservoir. The purpose of temporarily closing the CCM completely is to avoid a situation where a well section that is already clean, still contributes to the total well flow and thereby occupies hydraulic capacity that uncleaned sections could have benefited from. By automatically closing clean sections and maintaining the same total flow rate by opening the topside choke more, lower pressure and larger drawdown will be imposed on those sections that are still open and in the process of being cleaned up. This ensures a more efficient clean-up process, and more importantly, it ensures that mud is cleaned out all the way to the toe, thereby avoiding an inactive mud-filled toe section that never contributes to production or requires significant reservoir depletion before it suddenly becomes activated. When the clean-up process is completed and the well is temporarily shut in, the system will automatically reset itself to production mode, where all fluids are forced through the WCM, GCM or 3CM. This occurs both with and without the optional CCM. The beauty of the DAR technology is its flexibility that allows it to be configured for different types of fields with different needs. For example, the DAR technology can easily be configured for gas-condensate fields using the Liquid Control Module (LCM) such that gas is allowed to enter the well, but liquid is not. Alternatively, water can be choked back, but not condesate. The use of DAR technology for WAG wells has also been patented by Innowell. By applying different degrees of flow restriction for water and gas, the injection profile and reservoir sweep can be optimized. 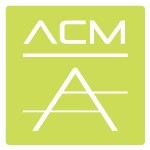 This can be achieved by the Alternating Control Module (ACM). The Orientation Control Module (OCM) is mandatory for all DAR installations as this ensures that the orientation of all modules relying on flotation elements is automatically aligned with the gravity vector. Misalignments up to ±30º can be tolerated. Forced orientation is possible as a backup mechanism. Various combinations of temporary and permanent check valves can be incorporated into the DAR ICS to prevent backflow during mud displacement and water flooding of the reservoir during shutdowns, but at the same time allow bullheading and scale squeeze operations. A fail-safe module can also be included, which can be designed to let reservoir fluids bypass some or all of the other modules. This also enables conversion from oil to gas producer later in the well's life.